Reuters analyzed investment and procurement budgets made public over the past two years by the automakers, which are based primarily in the United States, China, Japan, South Korea, India, Germany and France. The figures do not reflect planned investments and purchases that have not yet been publicized. By 2022, FCA’s Jeep will offer 10 plug-in hybrids, and four fully electric vehicle models. Maserati will launch eight plug-in hybrids and four full-electric versions by 2022. Alfa Romeo is to electrify its entire lineup, with up to seven plug-in hybrids. The Renault-Nissan alliance has a six-year R&D budget of $20 billion through 2022, and plans to build 17 pure battery-electric vehicles globally by 2022, including eight from Nissan, on common shared platforms. Nissan and partner Dongfeng are jointly investing $9 billion to build 20 electrified vehicles, including eight pure EVs, in China by 2022. Nissan also is investing $335 million in an EV and battery plant in Thailand. The Renault-Nissan alliance has a six-year R&D budget of $20 billion through 2022, and plans to build 17 pure battery-electric vehicles globally by 2022, including nine from Renault, on common shared platforms. Renault has a $220 million joint venture with Brilliance to build electric commercial vehicles in China. GM is planning to roll out 23 new EVs by 2023, and by 2025 it plans to offer electrified versions of nearly all Chevrolet, Buick and Cadillac models sold in China. GM and partner SAIC will jointly build EV battery modules in China. GM also is investing in a new electric vehicle architecture and a new battery system, but has said only that it plans to spend $8 billion combined on electrification and automation over the next several years. Great Wall plans to invest as much as $8 billion over 10 years, to develop hybrid and electric vehicles. It will partner with BMW to build Mini EVs in China. BMW plans to introduce 12 new battery electric vehicles and 13 plug-in hybrids. It is investing $340 million in a Leipzig EV plant and $225 million in a Munich battery plant. BMW is jointly investing $770 million with partner Great Wall to build Mini EVs in China. GAC is launching 10 electric and hybrid vehicles through 2020. It is partnered with BYD on electric buses, and is building a $6.5 billion industrial park for EV/AV development and production. JAC has a joint venture to build and sell EVs in China with VW. It also is building vehicles under license for Nio and Ford. Mahindra’s $5.5 billion investment covers R&D, capacity expansion and development of a dedicated EV platform with affiliate Pininfarina. 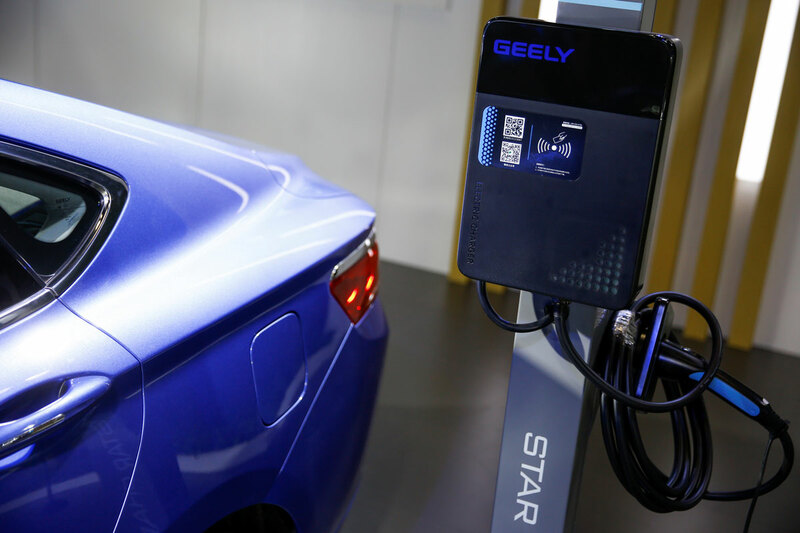 Geely is investing $5 billion in a new EV manufacturing center in China. It has a joint venture with Kandi for low-priced EVs. SAIC is spending $3.8 billion through 2020 on electric and hybrid vehicle development, including joint development of EVs and batteries with partner GM. In addition, SAIC is jointly investing $2.45 billion with partner VW in a new EV plant in China. Dongfeng will begin EV production in 2019 in partnership with Renault Nissan. DFM is planning to introduce 40 electrified vehicles by 2023. BYD is spending $3 billion to quadruple EV battery production capacity in China. BYD and partner Daimler are increasing investment in their Denza electric vehicle venture by $60 million each. BYD is building electric trucks with GAC. BAIC plans to end sales of combustion-engine vehicles by 2025. It sells electric vehicles through its BJEV affiliate. BAIC is jointly investing $1.9 billion with Daimler in EV development, while affiliate BJEV is investing $1.5 billion to produce 500,000 EVs a year through 2022. Jaguar Land Rover, a unit of India’s Tata, is planning to offer electrified versions of all its vehicles by 2020. Tata is working with UK affiliate Jaguar Land Rover to develop future EVs and hybrids. Peugeot Citroen will launch 40 new electrified vehicles by 2025, including four pure electric models built on a dedicated EV platform. It has a $520 million joint venture with Changan to build EVs in China, and is investing $250 million to build EV motors. Volvo Cars, a unit of China’s Geely, will offer electrification options across its entire range by 2020, and is introducing five new all-electric models by 2021. Volvo is investing $725 million in its Polestar EV brand in China. Honda plans to make its global portfolio two-thirds ‘electrified’ by 2030. It will buy EV batteries from GM. Honda is investing $180 million in an EV/battery plant in Thailand and another $130 million in India. It is jointly building a $470 million EV plant in China with partner GAC. Chery’s future electric and hybrid models will be built on a new dedicated platform and sold under the Exeed brand. FAW established a joint venture with Audi in early 2017 to develop and build China Evs. FAW is jointly developing hybrids with Toyota, and has invested $250 million in EV startup Byton. FAW’s premium Hongqi brand will unveil 15 new electric vehicles by 2025. Mazda aims to sell only hybrids and battery electric vehicles by 2030. Correction: A previous version of this graphic incorrectly labeled GM as a German automaker under the SAIC description. GM is an American automaker.